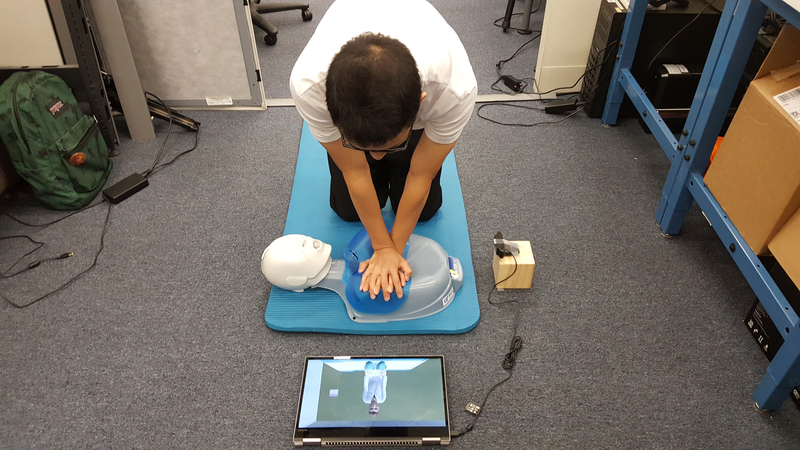 The aim of this project is to develop interactive, novel, cost-effective ways for providing feedback during CPR training. Specifically, this project involves the development of a computer vision-based system for tracking the rate and depth of CPR chest compressions and also the development of a virtual CPR trainer that monitors a user’s performance and provides feedback to help them improve. Originally created as part of the Research Methods class, University of Florida, Spring 2017.